Keep your electric jack protected from snow and rain with the Stromberg Carlson Tongue Jack Head Cover, while your trailer is parked. 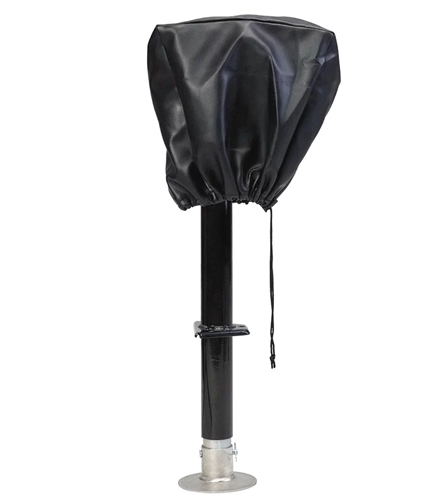 This heavy duty vinyl cover is designed to fit JET-2500, JET-3500 and JET-3700 Stromberg Tongue Jacks, as well as many other electric tongue jack brands. Drawstring closure to secure on jack head or bicycle seat. Purchase this cover here --> Buy Now.